Urbani Tartufi is the most esteemed distributor in the world of Italian truffles, the culinary gold that can only be harvested in the wild. The company, based in Umbria, is led by brothers Paolo and Bruno Urbani, direct descendants of the company founders. 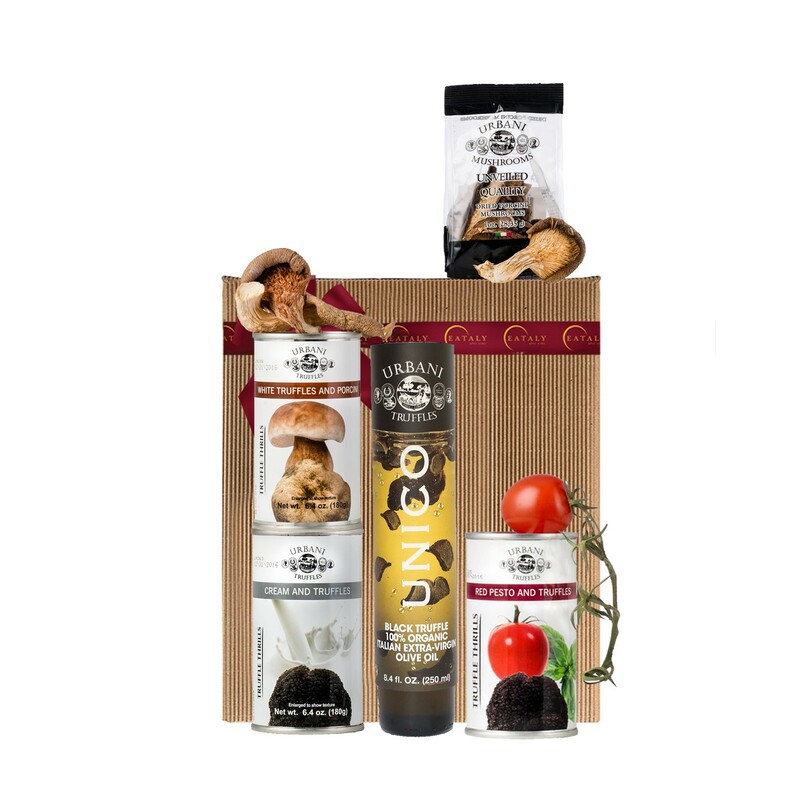 An excellent overview of the distributor, our Urbani Tartufi gift box offers a genuine taste of fresh Italian truffles with select products. 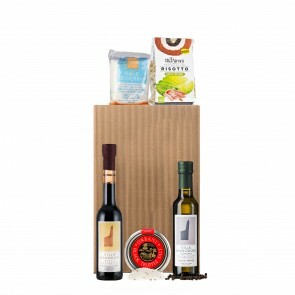 This gift box includes: Red Pesto and Truffles, Black Truffle Oil, Dried Porcini Mushrooms , Salt with White Truffles, Cream & Truffles Sauce, and a signature Eataly gift box.